A strong showing wasn’t enough to see Allan Johnston’s side go through as they lost out 1-0 to a 79th minute Olly Lee strike. After praise by local and national media outlets this week, the ex-Kilmarnock gaffer will be ensuring that his men remain level-headed and focused as they make the trip to Ayrshire. It may be an old cliché, but, the DAFC boss isn’t far wrong when he comments that “all matches in this division are difficult”. After an opening day victory over Dundee United, Dunfermline fell 3-1 at home to the Staggies two Saturday’s ago to leave them with 3 points following their opening two matches. However, on the other hand, McCall will ensure his team remain hard-to-beat as well as a threat in the forward areas. Since the former Partick Thistle boss took over the reigns at Ayr, they have gained a lot of compliments from those within the game. Despite relegation 24 months ago, Lachlan Cameron – the chairman of United – kept faith in the soon-to-be 54-year-old and it is the Honest Men who are reaping the rewards. Despite falling down to the third-tier of Scottish football, McCall’s wish of full-time status was granted and he repaid the directors back by winning the League One title last term ahead of the Pars’ local rivals, Raith Rovers. The majority of the squad has remained while a few new faces have arrived to add strength and depth to the squad assembled by McCall. There are a few notable names which Dunfermline fans will recognise, and this will emphasise how difficult a task this will be this weekend. Former captain Andy Geggan will come up against his former employers for the first time since departing East End Park, with Michael Moffat in the same boat. Mark Kerr; Chris Higgins and Steven Bell continue the ex-Par theme with Jamie Adams remaining the ‘bad boy’ amongst the Somerset Park squad. Shrewd pieces of business, such as picking up Declan McDaid, Andy Murdoch and Liam Smith have gone un-noticed, with youth products Robbie Crawford, Alan Forrest and Craig McGuffie also impressing at every opportunity. 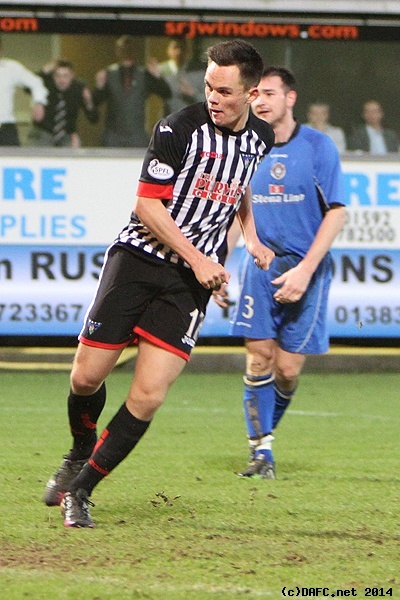 But, the man who has had all the headlines this summer is Lawrence Shankland: after rejuvenating his career under McCall, having scored 40 goals in 41 matches for Ayr, the predatory 23-year-old has been on the radar of several Scottish clubs, as well as advances from south of the border too. However, as of yet, no bid has been accepted although, with the transfer window in Scotland nearing an end, a last ditch attempt to steer the former DAFC-loanee to the Scottish top-flight may not be off the cards just yet. The United number 17 looks set to line-up against the Pars on Saturday and he may be the difference between the two sides. After an unbeaten start to the campaign, it is hard to say that this will not be the biggest test of the Championship campaign so far. If Dunfermline want to progress to the Premiership, games like this one will be where they would be expected (and probably need to) pick up points: a draw may not be the worst result from an away fixture against a side who haven’t suffered defeat so far this term, but, a statement of intent could be placed down by the Pars if they can come away with three points from a tough destination. 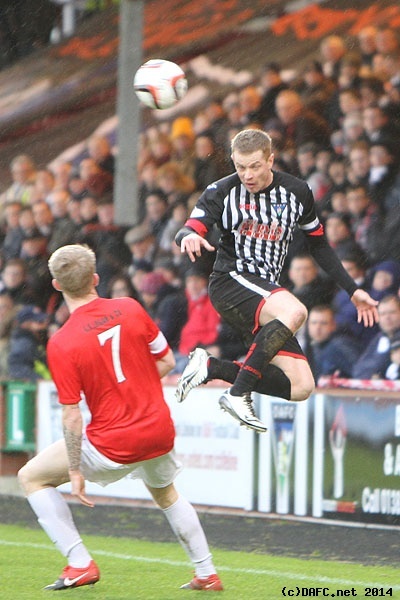 The status of this Dunfermline side is still undeterminable at present due to the unpredictable division in which Johnston’s men find themselves in… you could say their fate is up in the Ayr!